Coming to NYC for July 4th?? Hey Pyro Fans! Are you going to be in New York City for the Fourth of July?? 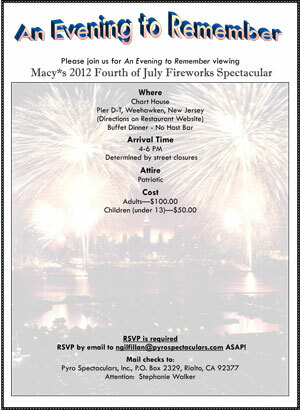 Come watch the Macy’s Fourth of July Fireworks Spectacular with the Pyro Spectaculars family! We are hosting an exclusive party at the Chart House. The location information is below. 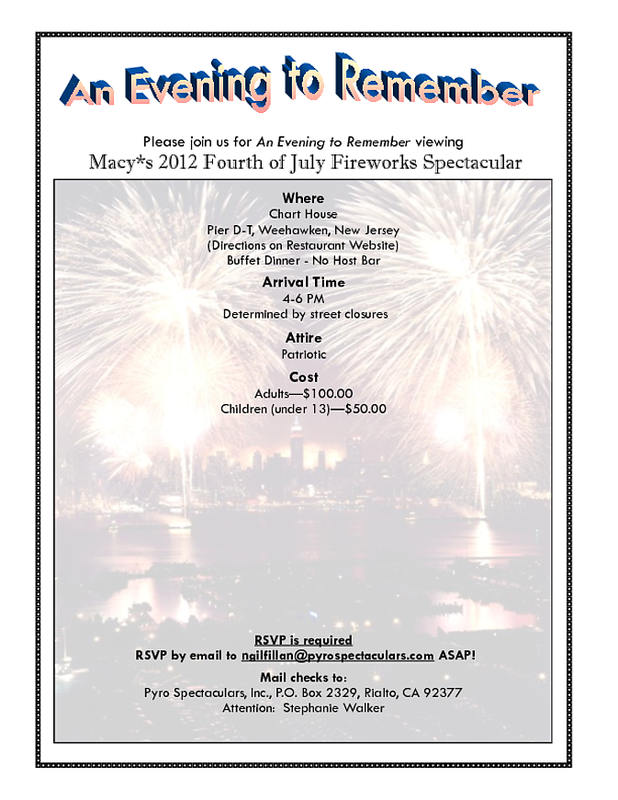 Click here to download the event flyer. Hurry! We only have 30 spots left! Next PostWant to Learn How to Shoot Fireworks? ?